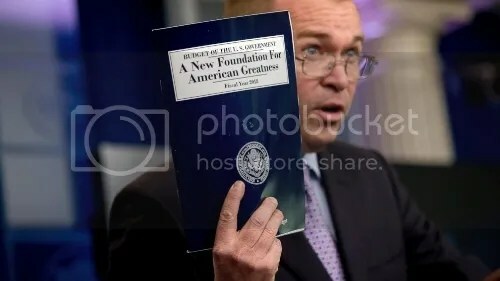 Budget Director Mick Mulvaney presenting the Trump administration’s 2018 budget. (Andrew Harnik, AP). The opening chapters of Victor Hugo’s 1862 masterpiece depict the main character Jean Valjean, unemployed and broke, stealing a loaf of bread to feed his starving family. After completing the crime, he is quickly arrested and sentenced to five years of hard labor. In this scene, Hugo’s enduring statement is clear: food insecurity compels criminal behavior by otherwise lawful people. Decades later in 1964, the United States arrived at a similar conclusion when Congress passed the Food Stamp Act. The law aimed to provide nutritious food for the needy, and serve as a stabilizer for economic downturns and the country’s poorest citizens. 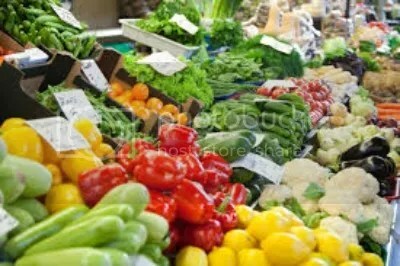 The law also contributes to national security by deterring political unrest related to food insecurity. Today, President Trump has turned away from the intent of the Food Stamp Act by proposing cuts to food subsidy programs, a move that endangers national security by exacerbating domestic hunger-related instability. SNAP provides millions of low-income citizens with access to nutritious food. (BECR Center). President Trump’s budget proposal endangers national security too. As portrayed by Hugo, hunger activates a most basic human instinct: procurement of food. Food scarcity also breeds political violence, which leads to destabilized polities and civil unrest. A growing body of research connects food insecurity and various types of conflict. While there is a strong correlation between food scarcity and political violence in low-developed countries, several types of hunger-fueled conflict may arise in advanced countries too. Thus, Hugo and the events cited above demonstrate that food insecurity leads to political and civil unrest, which results in weakened national security. As alluded to before, the underlying reasoning for this principle lies in basic human nature. 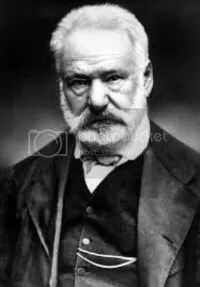 Victor Hugo wrote about the connection between hunger and crime in Les Miserables. Few human instincts are more profound than the need to secure food, and the drive to satiate hunger. These instincts relate to our very existence, and compel us to take great risk to meet our basic needs. Thus, when confronted with food insecurity, people from all backgrounds will take extreme measures, including theft, rioting, or even violence against the government, to ensure their survival. Based in part on this notion, food security programs were created to further national security by reducing hunger and eliminating resulting political instability. So, when assessing the Trump administration’s proposed cuts to SNAP, it should be done not solely through the lens of fiscal responsibility, but also national security. Indeed, SNAP provides nutritional subsides to our country’s neediest at the expense of taxpayers. However, food security programs also keep those same taxpayers safe from hunger-related violence, and accompanying political instability, that has plagued so many governments in the past. USDA. (2017). Food and Nutrition Service: A Short History of SNAP. Retrieved from https://www.fns.usda.gov/snap/short-history-snap. Haskins, R. (2012). Reflecting on SNAP: Purposes, Spending and Potential Savings. Brookings. Retrieved from https://www.brookings.edu/testimonies/reflecting-on-snap-purposes-spending-and-potential-savings/. USDA. (2017). Food and Nutrition Service: SNAP National State Monthly and/or Annual Data. Retrieved from https://www.fns.usda.gov/pd/supplemental-nutrition-assistance-program-snap. Luna, J. (2017). Trump Takes Big Bite Out of His Voter’s Food Stamps. Mother Jones. Retrieved from http://www.motherjones.com/politics/2017/05/trump-snap-budget-2018-cuts-food-stamps. Brownstein, R. (2017). Trump’s Budget Cuts to SNAP and Social Security Would Hit the Rust Belt Hard. The Atlantic. Retrieved from https://www.theatlantic.com/politics/archive/2017/05/trump-budget-snap-social-security/527799/. Keierleber, M. (2016). When Teens Resort to Crime so They Can Eat: New Studies on Food Insecurity and School Lunch Programs. LA School Report. Retrieved from http://laschoolreport.com/when-teens-resort-to-crime-so-they-can-eat-new-studies-on-food-insecurity-and-school-lunch-programs/. Brinkman, H.J., Hendrix, C.S. (2011). Food Insecurity and Violent Conflict: Causes, Consequences, and Addressing the Challenges. World Food Programme. Retrieved from https://ucanr.edu/blogs/food2025/blogfiles/14415.pdf.